This Irrigatia kit is great for growing fruit and vegetables as well as decorative plants. It comes with a complete irrigation kit which can be connected to your hosepipe, or it can be used with an .. 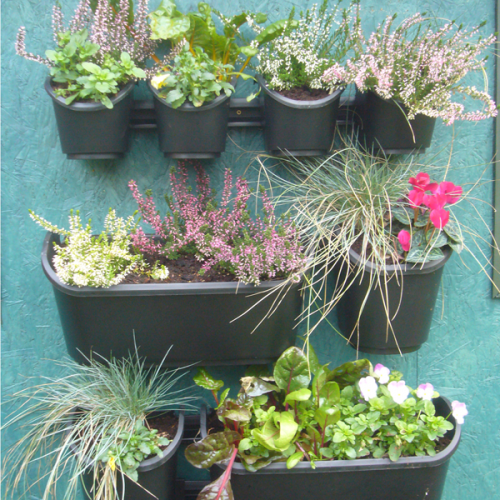 This Irrigatia kit is great for growing fruit and vegetables as well as decorative plants. 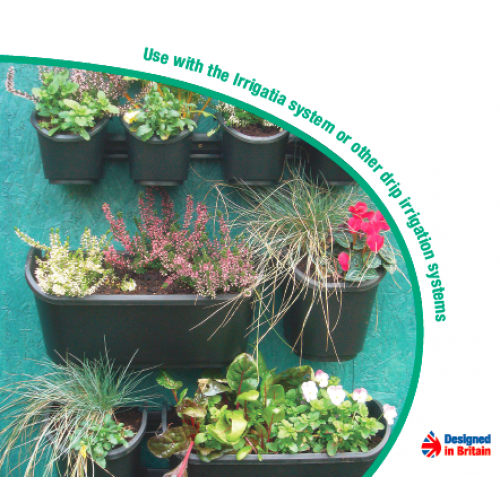 It comes with a complete irrigation kit which can be connected to your hosepipe, or it can be used with an Irrigatia solar watering kit. This vertical growing system comprises 8 pots of different sizes and is a great space saver - an ideal present for someone who has limited space and wants a living wall or green wall. Attach the support rails in the desired position, on a wall, fence or side of a shed. They can also be used in the greenhouse where space is limited. The pots are easily clipped onto the rails in whatever position you want - the different pot sizes allow for a variety of fruit or vegetables to be grown. Drippers are placed in the top pots, and water then drips through to the pot below so that everything is adequately watered.